TEACHER: Hello, Student. In this Module we will discuss two main subjects: first we deal with Mergers & Acquisitions and Consolidated Statements, and afterwards we describe the Statement Of Changes In Financial Position. In most major economies, business entities consist of several corporations, each with separate legal status. Despite this separate legal status, it is usually more meaningful to report on the results of these organizations in a way that treats them as a single economic entity. STUDENT: Sure, I keep reading about mergers, acquisitions and disinvestment by large corporation. TEACHER: Precisely. Let’s begin by dealing with the accounting for entities newly constituted by M&A (mergers and acquisitions), and then with the accounting for these separate legal entities on a continuing consolidated basis. When two companies combine their operations to become a single firm, the act of combining is called an acquisition or a merger. STUDENT: Is there an important difference? TEACHER: In common usage, an acquisition is said to occur if one corporation buys either the assets, net assets (assets minus liabilities), or the stock of another corporation. If the firms are combined through an exchange of one corporation's stock for the other's, then a merger is said to have occurred. The FASB refers to both of these kinds of transactions as business combinations. STUDENT: Names are misleading sometimes. Daimler (Mercedes) and Chrysler said they had "merged" while in practice it was an acquisition or "takeover" by the former. TEACHER: You are well informed. In both methods, the results is almost always that one of the parts is the dominant one in the resulting new enterprise. Anyway, there are three types of combinations: horizontal, vertical, and conglomerate. A horizontal combination occurs when the combining firms are in the same line of business; for example, the merger of two car manufacturers such as Chrysler and Daimler. A vertical combination occurs when the two companies are involved in different stages of the production and marketing of the same end-use product, for example, the acquisition of a tire factory by a car manufacturer. A conglomerate combination occurs when the combining firms are in essentially unrelated lines of business. If the acquiring corporation pays cash for the acquired firm, the accounting method used to record the acquisition is called the purchase method. However, if one firm in the combination issues its stock in exchange for the stock of the other firm, the acquisition is accounted for by use of either the purchase method or the pooling of interests method. However the criteria used to permit the latter method are complicated, detailed, and subject to various interpretations. To illustrate accounting for the pooling and purchase methods, we will use the balance sheets for two hypothetical corporations, A and B. We assume that Corporation A is planning to acquire all of the stock of Corporation B; thus A will take over the assets and assume the liabilities of B. We also assume that the consideration that will be involved in the combination is Corporation A common stock having a market value of $6 million. Finally, we assume that Corporation A can arrange the transaction in such a way that it can qualify either as a pooling or as a purchase, at its discretion. One of the factors A's management will consider in deciding which way to arrange the combination is the impact on its post-acquisition consolidated financial statements of the pooling and purchase accounting treatments, respectively. Assume that A plans to issue 100,000 shares of its stock, having a market value of $60 per share, in exchange for the 100,000 outstanding shares of B stock, and that accounting would be on a pooling basis. In qualifying for pooling treatment, the underlying premise is that there is a "marriage" of the two entities, with the two stockholder groups agreeing to a simple merging of the two firms' resources, talents, risks, and earnings streams. Accordingly, under pooling treatment, the balance sheets of A and B simply would be added together to arrive at the new consolidated balance sheet for A. STUDENT: I can imagine that if there were any inter-corporate obligations involved -for example, a receivable on A's balance sheet which was due from B -these would be eliminated. Am I right? TEACHER: Very correct. With this exception, the new whole enterprise (the A+B combination) is accounted for as the sum of its parts. STUDENT: Is there any adjustment of the values of the assets from "book value" to market value? TEACHER: No, the assets and liabilities of the combined firm are carried at the sum of their previous book values, and are not written up (or down) to their current values. Similarly, the common stock and retained earnings accounts of the combining firms are simply added to determine the combined firm's owners' equity. Now, suppose that A arranges the combination so that purchase accounting is required. The underlying philosophy of this treatment is that instead of a "marriage" of A and B, A is buying the net assets of B. In accordance with the cost concept, the net assets of B should go onto A's balance sheet at the amount paid for them. 1. First, B's tangible assets are revalued at their fair value. Hence, with purchase accounting the consolidated plant and equipment account will show the sum of A's pre-acquisition plant and equipment plus the acquired fixed assets of B, newly-valued at fair market value. 2. Second, after this revaluation of B's tangible assets, any excess of the purchase price over the total amount of B's revalued tangible net assets is shown on the consolidated balance sheet as an asset called "goodwill." STUDENT: "Goodwill" is a rather confusing term, isn't it? TEACHER: Good point. Actually, the preferred caption for this account is the more descriptive "excess of cost over net assets of acquired companies." As an example, if A has paid $1.5 million over the revalued net assets of B, this amount is called "goodwill". This goodwill must be amortized over the time period that A will receive the benefits the "goodwill" represents (e.g., B's clientele, future earnings potential, and other valuable intangibles for which A has paid this $1.5 million excess over the revalued net assets), but in no case over longer than 40 years. In most cases the Accounting As A Purchase transaction will result in a more "attractive" balance sheet than the Accounting As A Pooling transaction. Can you guess why? STUDENT: Because in the Accounting As A Purchase transaction B's assets are revalued; if the new value is higher, the balance sheet of the combination will look more attractive. Needles to say, if the revaluation resulted in a lower value (and this can of course happen) then the balance sheet of the combination would look less attractive than with the pooling system. TEACHER: Excellent, Student. And there are tax issues involved in the revaluation; this is why to use the Accounting As A Pooling method, permission by the tax authorities is necessary. A "company," as it is thought of by its management, its employees, its competitors, and the general public, may actually consist of a number of different corporations, created for various operational, legal, tax, and financial reasons. A set of financial statements for the whole business enterprise may be more useful than the statements of the separate corporations of which it consists. Such statements are called consolidated financial statements. They are prepared by first adjusting and then combining, the financial statements of the separate corporations; usually, no separate journals or ledgers are kept for the consolidated entity. The legal tie that binds the other corporations, or subsidiaries, to the parent is the ownership of their stock. A firm usually is not consolidated unless more than 50 percent of its common stock is owned by the parent. Some companies use an even higher percentage as the criterion for consolidation of subsidiaries. Even though it is 100-percent owned by the parent, a subsidiary may not be consolidated if its business is so different from that of the other companies in the family that including it in the consolidation would result in financial statements that do not well describe the family as a whole. General Motors Corporation does not consolidate the statements of General Motors Acceptance Corporation with those of its other corporations because GMAC is a huge financial corporation dealing principally in installment payments on automobiles, and its assets and liabilities are quite unlike those of an industrial company. Some companies do not consolidate their foreign subsidiaries. STUDENT: What if a company does not consolidate a subsidiary or "affiliate"? TEACHER: If a subsidiary is not consolidated, the amount of the parent's investment in it appears as an asset on the parent's balance sheet. Consolidating financial reports is not just a matter of adding the different items of the companies involved. Adjustments have to be made. Essentially, these adjustments eliminate the effect of transactions that have occurred between the two corporations as separate legal entities. Since the consolidated financial statements should report only assets owned by the consolidated entity and the equities of parties outside the consolidated entity, these internal transactions must be eliminated. 1. Intercompany Financial Transactions: amounts that the companies owe to one another must be eliminated. Assuming that Parent owes Subsidiary $5,000, this amount is eliminated from their respective Accounts Payable and Accounts Receivable accounts. 2. Intercompany Profit. In accordance with the realization principle, the consolidated company does not earn revenue until sales are made to the outside world. The revenue, the related costs, and the resulting profit for sales made between companies in the consolidated entity must therefore be eliminated from the consolidated accounts. 3. Elimination Of The Investment. The Parent company's investment in the Subsidiary's stock is strict1y a "family" matter and must therefore be eliminated from the consolidated balance . Some types of companies are required to publish a third financial report called the statement of changes in financial position (SCFP) in addition to the balance sheet and income statement. Many companies publish the same report voluntarily under various titles such as "funds flow statement," "sources and applications of funds," and "cash flow statement". STUDENT: But you said once that the balance sheet describes the sources and the uses of funds. What is the difference? TEACHER: Remember that the balance sheet gives a "snapshot" view at a point in time of the sources from which a firm has acquired its funds and the uses which the firm has made of these funds. The equities side of the balance sheet describes these sources, and the asset side shows the uses. A flow statement explains the changes that took place in a balance sheet account or group of accounts during the period between the dates of two balance sheet "snapshots." The income statement is a flow statement; it explains changes that occurred in the retained earnings account by summarizing the increases (revenues) and decreases (expenses) in retained earnings during the accounting period. 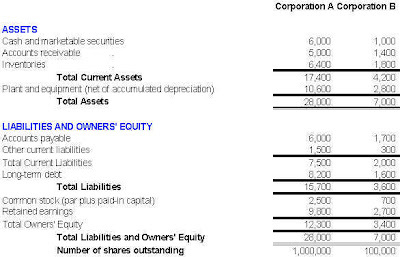 This explanation of changes in a single balance sheet account, retained earnings, is so useful to the managers, creditors, and owners of a company that it has long warranted its status as a separate financial statement, so long, in fact, that many people forget its intimate relationship with the company's balance sheet. STUDENT: I can imagine that a simple flow statement can be constructed just by summarizing the debits and credits to the Cash account during the period. TEACHER: Tue. Such a statement shows the flow of cash into (i.e., receipts) and out of (i.e., disbursements) the business during the period. It therefore shows why the Cash balance changed during the period, just as the income statement shows why the Retained Earnings balance changed. The cash-basis SCFP differs from the summary of cash receipts and disbursements in three ways. First, it is prepared by a rearrangement of items on the income statement and balance sheets, rather than from entries made to the Cash account. Second, it highlights the amount of cash generated by the firm's operations. Third, the SCFP shows some items that do not go directly through the Cash account. Because of these differences, the cash-basis SCFP is more informative than the simple summary of cash receipts and disbursements. STUDENT: I see the advantages. And how is this done? 2. Add the change in the Accounts Receivable balance if it: decreased during the period, or subtract if the change was an increase. a. Subtract from expenses the depreciation expense; similarly subtract amortization of patents or goodwill, which are expenses but are not cash outflows. c. Add to expenses the amount of a build-up in inventories, or subtract the decrease in inventories. 3. Combine the adjusted amounts from Steps 1 and 2 to arrive at "net cash generated by operations. 1. Identify any non-operations sources of cash, e.g., loans and issuance of bonds, preferred stock, or common stock. 2. Combine the amounts from Steps 3 and 4 to arrive at "total sources of cash." 6. Identify any uses of cash other than cash used for expense items. This will include purchase of fixed assets, repayment of loans, refunding bond issues, purchase of treasury stock, and payment of cash dividends. 7. Net the sources and uses to determine the increase or decrease in cash. This amount can be verified by subtracting the beginning cash balance from the ending cash balance. In practice, most firms issuing an SCFP do not prepare it on the cash basis, but rather on the working-capital basis. Working capital is defined as current assets minus current liabilities, and is a broader definition of funds than is cash. By using working capital as the definition of funds, in essence transactions are "put through a less fine sieve" to filter them out for the SCFP. For example, paying an account payable affects cash, so this transaction would be reflected in a cash-basis SCFP. However, the transaction has no effect on working capital, since a current asset (cash) and a current liability (accounts payable) decrease by the same amount; hence the transaction would not be reflected as a source or use in a working-capital basis SCFP. Thus, when funds are defined as working capital, there is no need to show the details of the more or less continuous movement of resources between current liabilities and current assets which results from the manufacture and sale of goods and the collection of receivables from customers. Indeed, the focus is on the usually more significant flows affecting noncurrent assets (i.e., long-term investments) and permanent capital, the name given to the sum of long-term liabilities and owners' equity. With this single exception, the working-capital basis SCFP is prepared in exact1y the same manner as the cash-basis SCFP. STUDENT: You told me before that unfortunately, many people have the misconception that depreciation is a source of funds (defined either as working capital or as cash). "Most people pay too little attention to depreciation reserves as a contributor to corporate health. In some years depreciation actually exceeds net profit." "Depreciation money is cash. In your bank account, depreciation dollars and profit dollars look alike." "Company X shifted to accelerated depreciation last year, thus increasing its depreciation charge and its cash flow earnings by $6 million." These statements are fallacious. Depreciation is not a source of funds; the funds flow out when an asset is paid for, and do not come back unless the asset is sold. Depreciation is a source of funds only in the tenuous sense that depreciation expense reduces taxable income, and hence reduces the cash outflow to the Internal Revenue Service in payment of taxes. The statement of changes in financial position (SCFP) explains the differences in account amounts between the beginning and ending balance sheets for an accounting period. Increases in asset amounts represent uses of funds; i.e., investments the firm has made during the period. Increases in liabilities and owners' equity reflect the sources of the funds which were used to make the investments. The SCFP can be prepared on either a cash basis or on a working capital basis. The latter way tends to focus attention on the major funds flows in the firm, and downplays the recurring flows among current asset and current liability accounts. The net amount of funds generated by operations is not the same as net income: some expenses (notably, depreciation) that were subtracted in arriving at net income for the period, do not use either cash or working capital. In practice, the amount of funds generated by operations is derived from the net income figure by adding back depreciation and other expenses which did not use funds; however, one must not infer from this calculation that depreciation is itself a source of funds, for it definitely is not. The SCFP reports some financing and investing activities that do not cause a change in cash or working capital, such as the purchase of fixed assets with a long-term mortgage note. These activities are reported so that the SCFP gives a complete picture of the resource flows of the firm.